Come and start the weekend in style and enjoy a complimentary glass of champagne and canapes with the Tritons at Oolaa. Further glasses of champagne sold at HKD88. This is a very casual event where you can come and go as you please, a great opportunity for new members to meet the existing crew. Please do come and introduce yourselves. To register and help us manage number, please click here. Looking forward to seeing you there on the 24th!  The Tritons Triathlon Club, HongKong, was founded in 2009 by athletes who were participating in the IHP Triathlon Training Program.